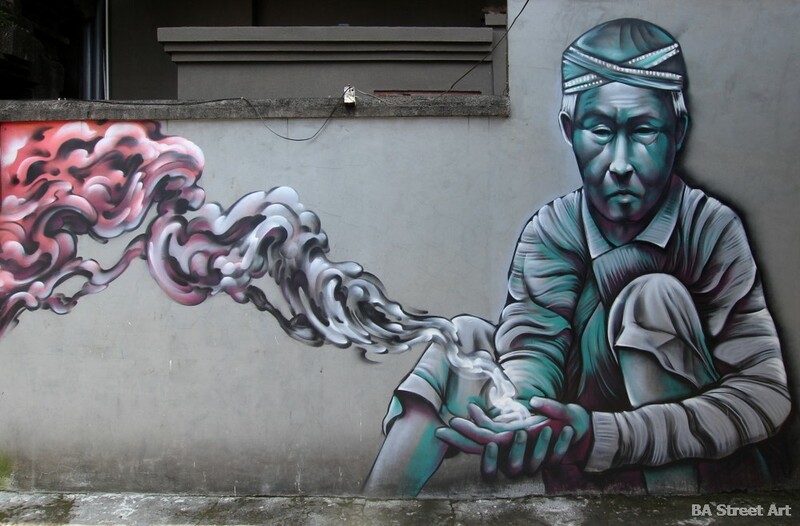 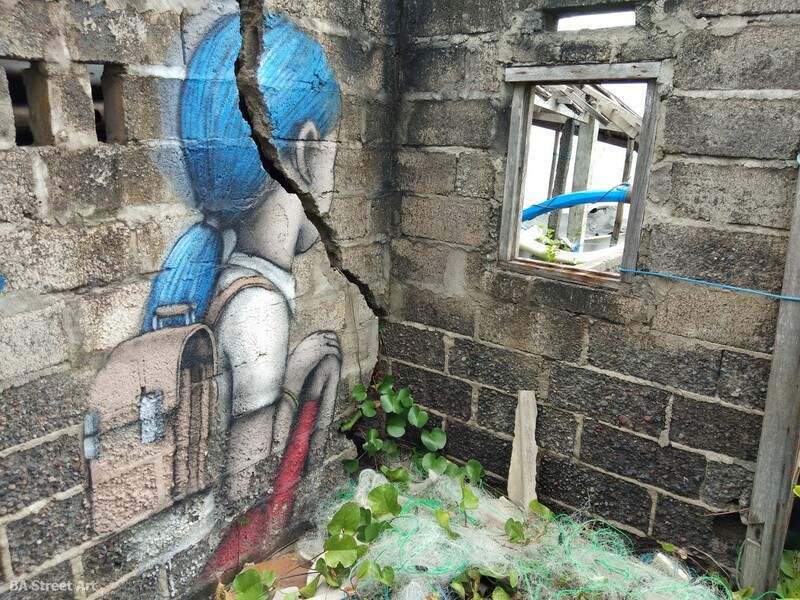 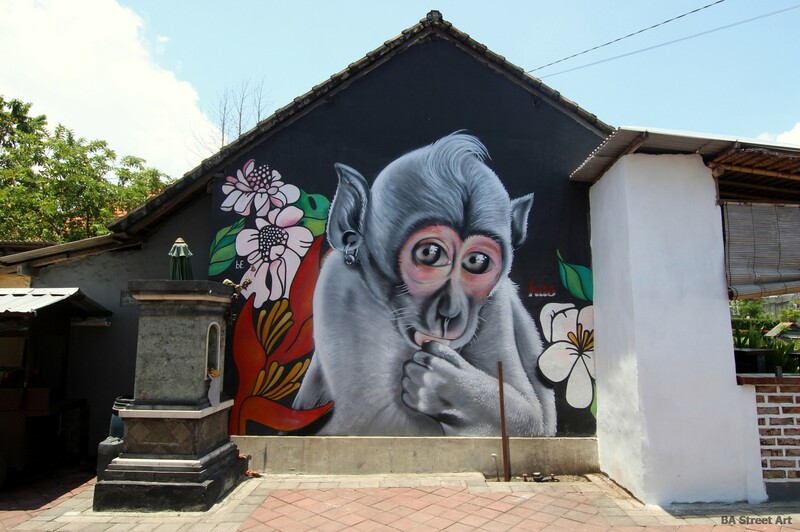 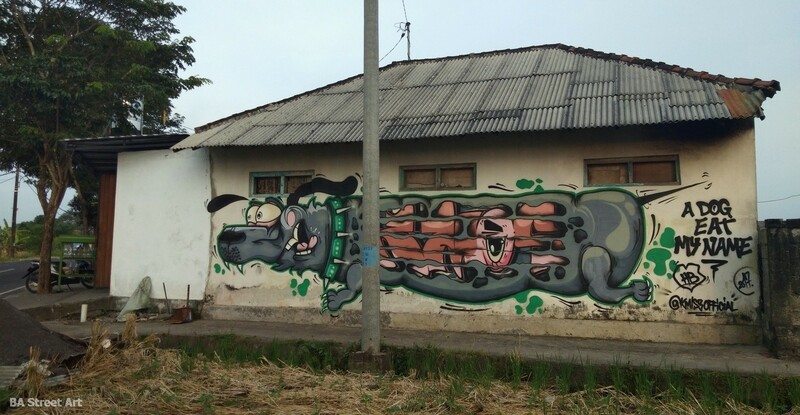 The island of Bali is a great place to check out street art and graffiti with a number of artworks relating to local animals, culture and religion. 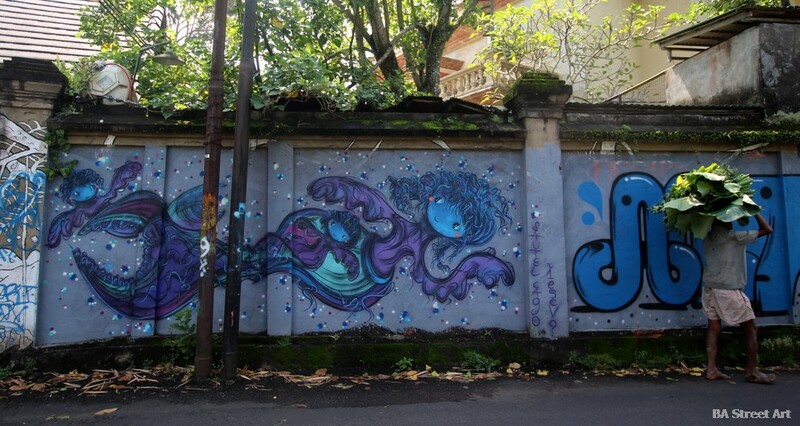 Buenos Aires Street Art‘s Matt Fox-Tucker was there a few months ago and took these photos. 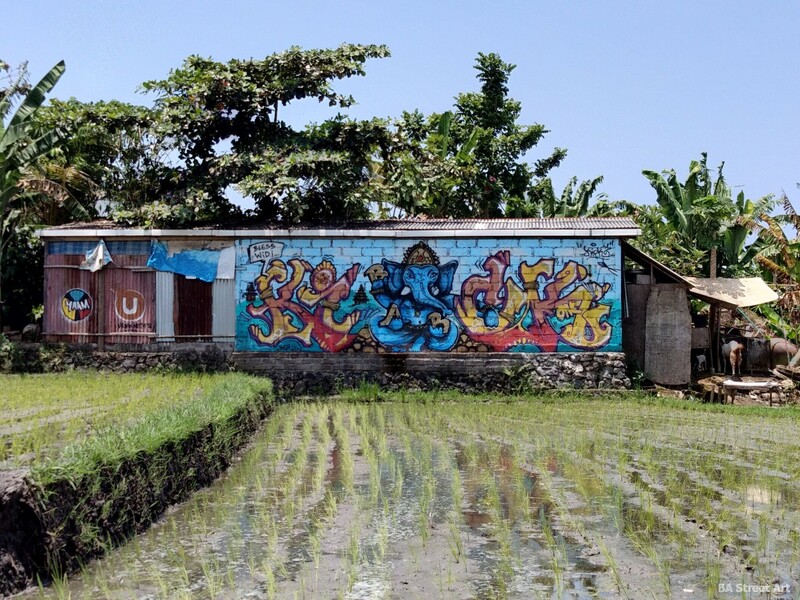 Many of the best murals and graffiti on the island are located around Canggu where AllCaps Store teamed up with the foundation PangeaSeed to organise the Tropica Festival in 2017, bringing local and international street artists and graffiti together to paint walls and also raise awareness about environmental issues – in particular the problem of waste and plastic that flow into the ocean harming marine life around the island. 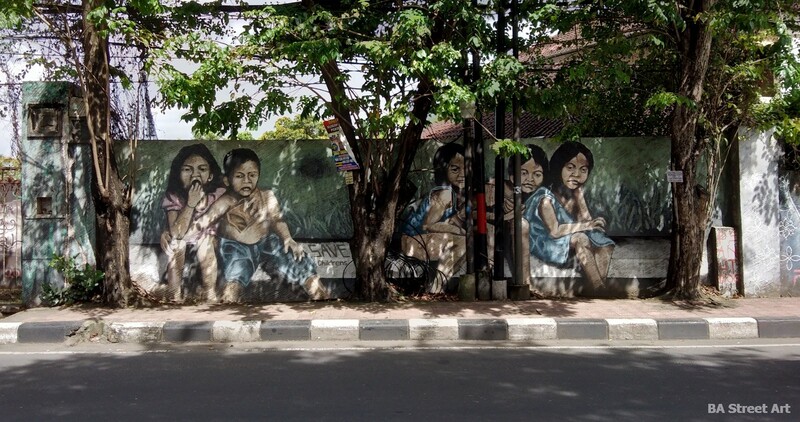 Australian muralist Fintan Magee was invited to Bali to take part in Tropica Festival in 2017. 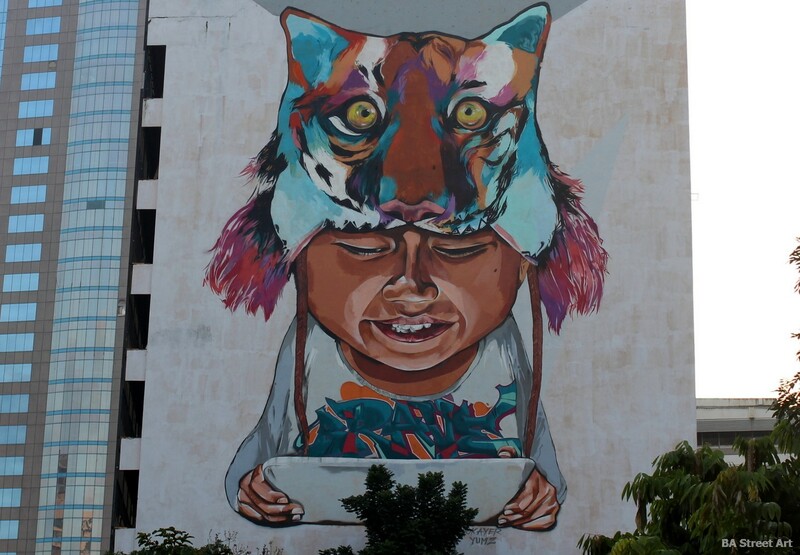 This mural is entitled ‘Girl with Inflatable Tiger’. 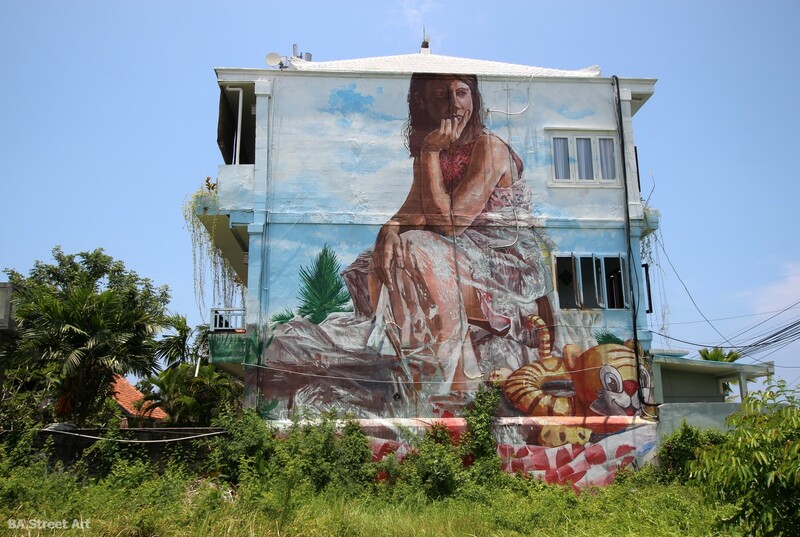 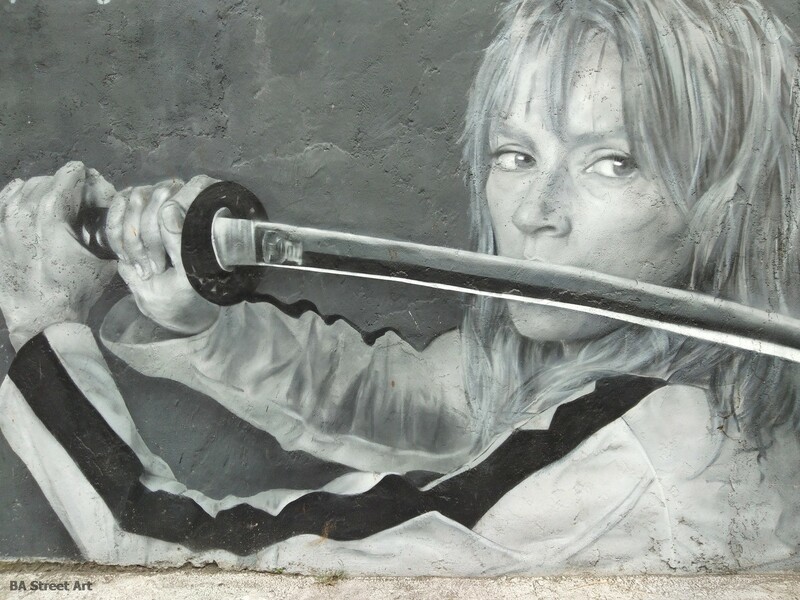 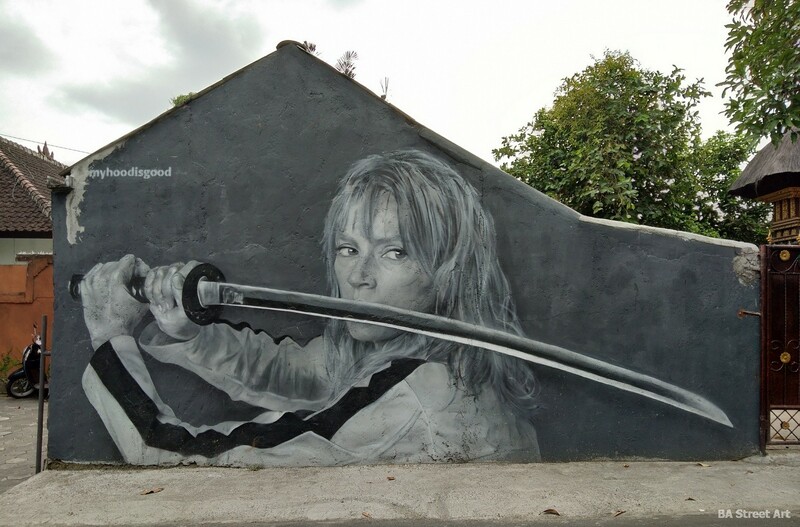 Fintan Magee also visited Buenos Aires in 2014 and painted a number of murals around the city that were organised by Buenos Aires Street Art (click here). 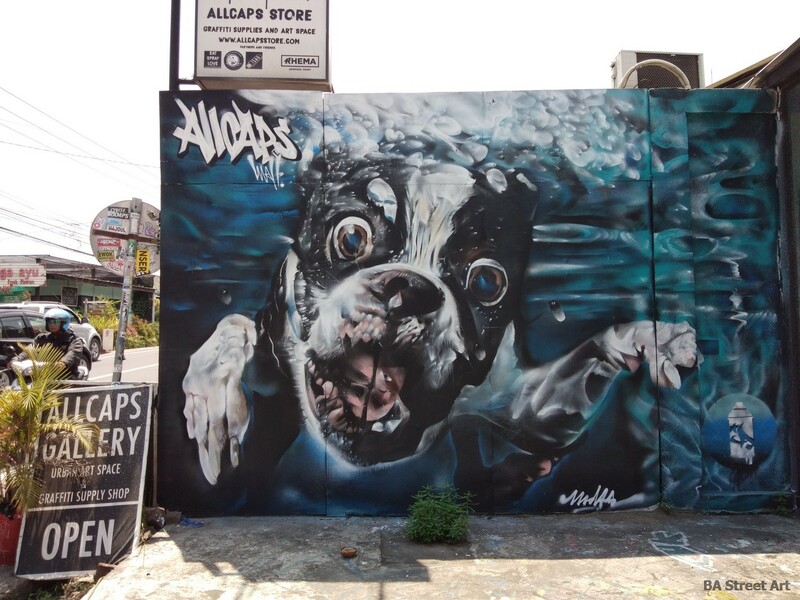 AllCaps are really the go-to guys for street art and graffiti in Bali and have been the force behind a large number of the murals that have been painted around Canggu and at the Tropica Festival. 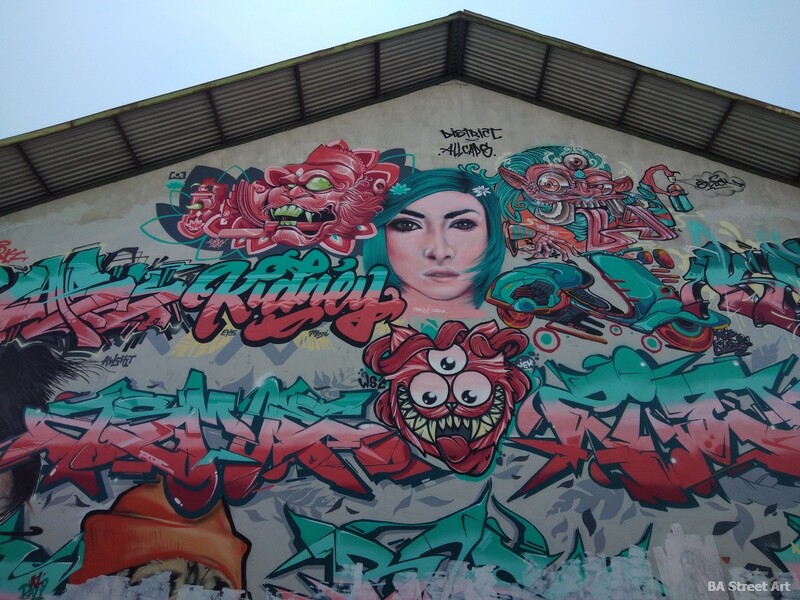 They also run a gallery space and store at Jalan Raya Canggu No 18a selling spray cans, paint, T-shirts and artworks. 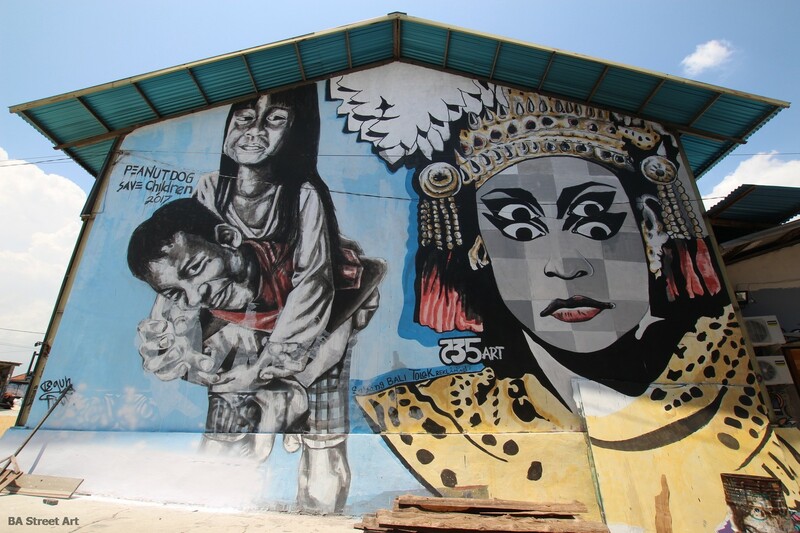 AllCaps Park behind the store was the main site for many of the murals and pieces painted during Tropica Festival 2017. 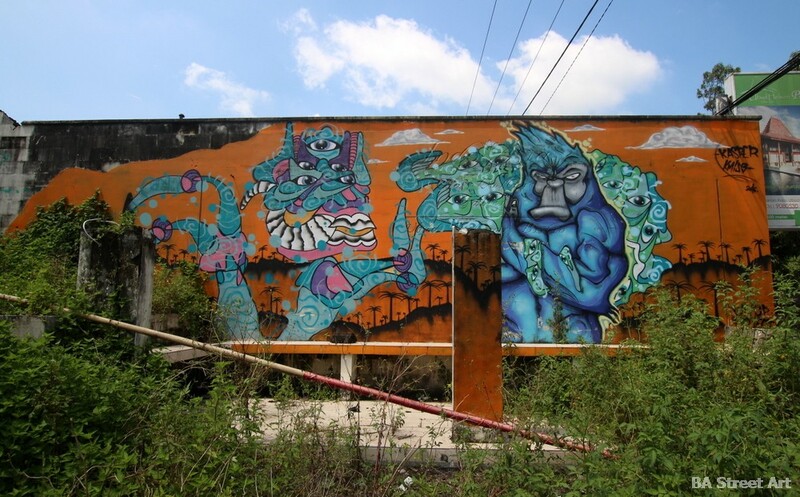 Many murals and pieces that formed part of the festival were located in a lumber yard behind the store unfortunately the majority were ruined earlier this year. 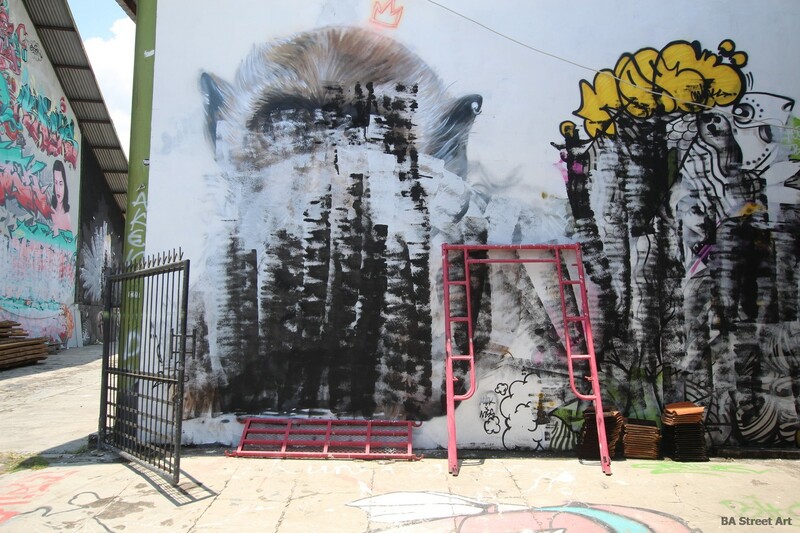 One of the guys at All CapsStore told us that it was due to a disagreement with the site owner that they were trying to resolve. 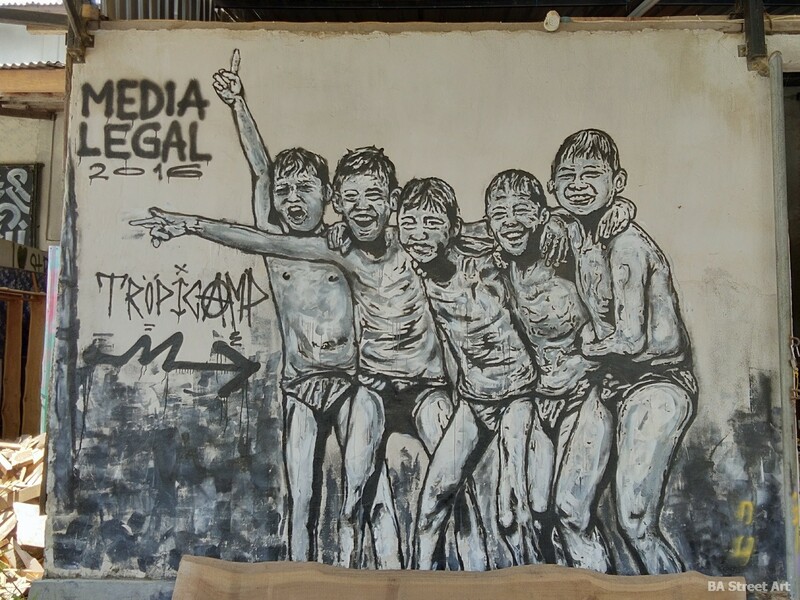 It seems he didn’t want visitors entering the site and taking photographs any more. 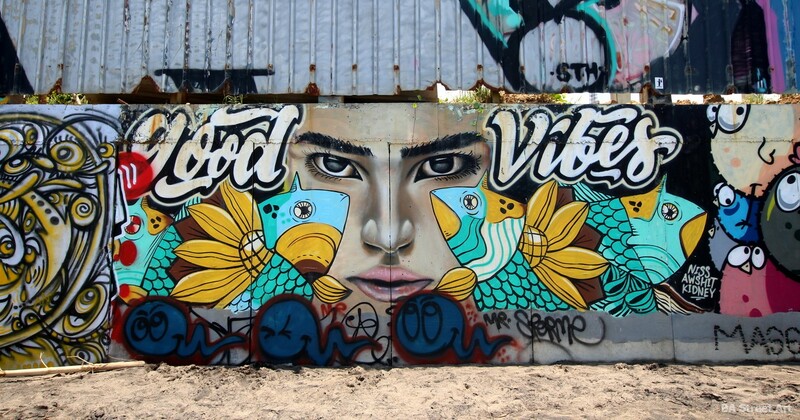 Echo Beach was another site at the Tropica Festival with several murals painted there relating to the issue of the marine life and environmental damage. 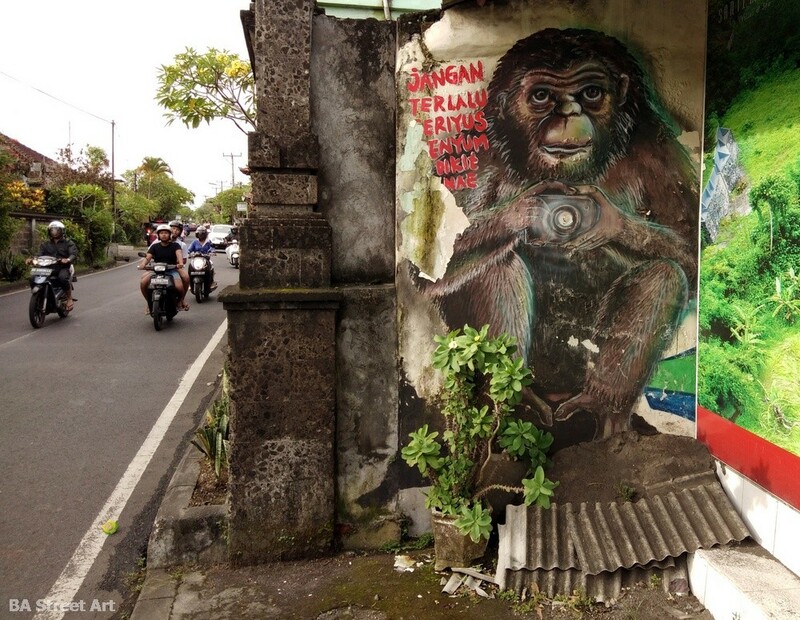 The island of Bali has a huge problem with waste disposal and also many of its beaches have disappeared. 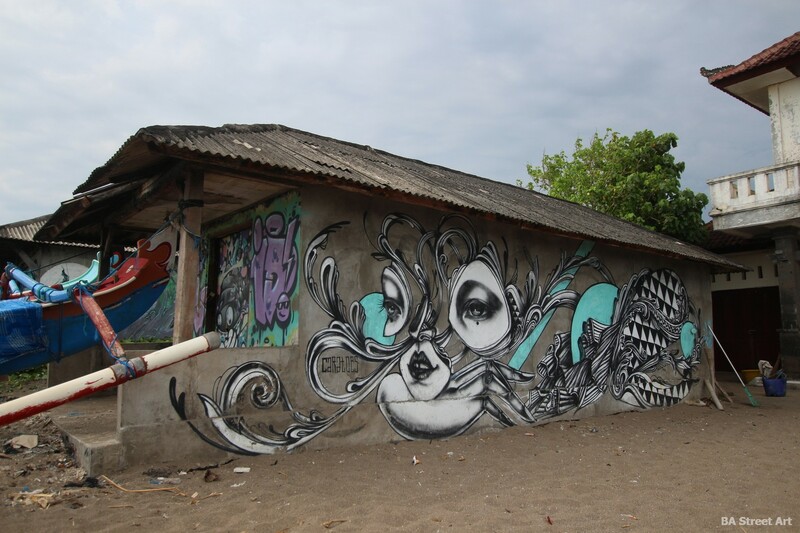 I learnt that the many beaches on parts of the eastern coastline near Sanur had eroded in recent years due to local people destroying barrier reefs to use the coral for construction materials. 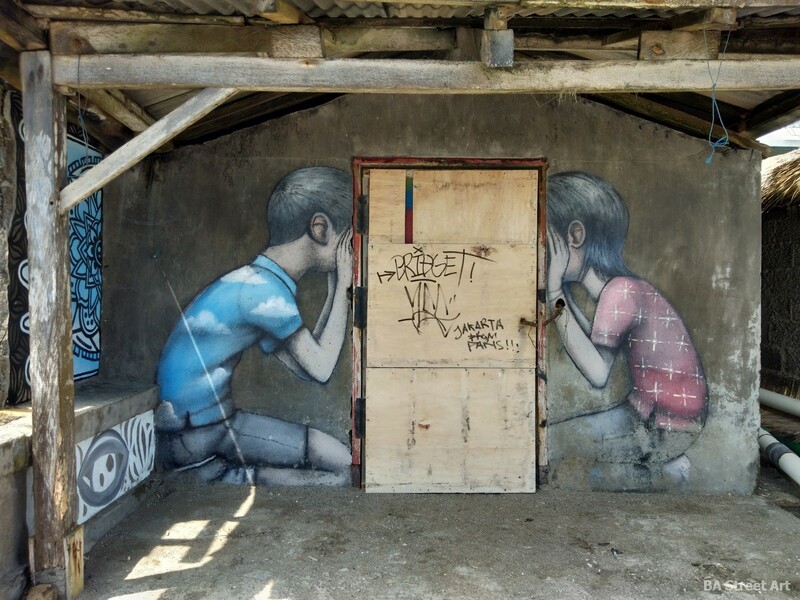 French street artist Seth Globepainter visited Bali in 2016 and painted a series of murals at Nelayan fishing village. 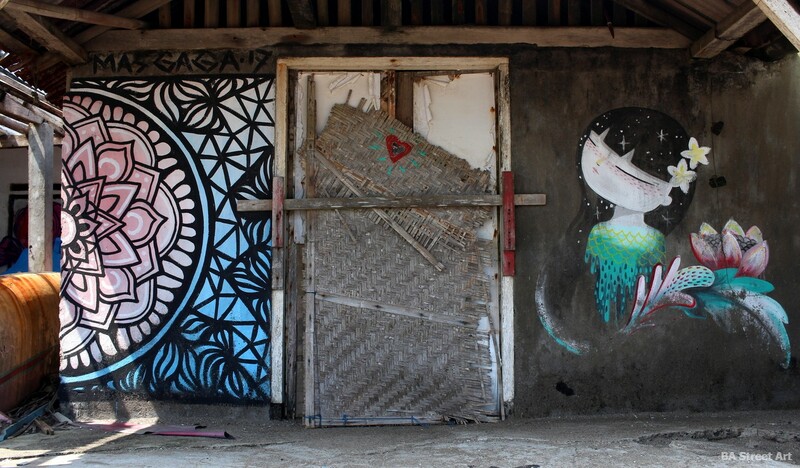 A number of abandoned fishermen’s shacks and htu near the beach provided the ideal canvas. 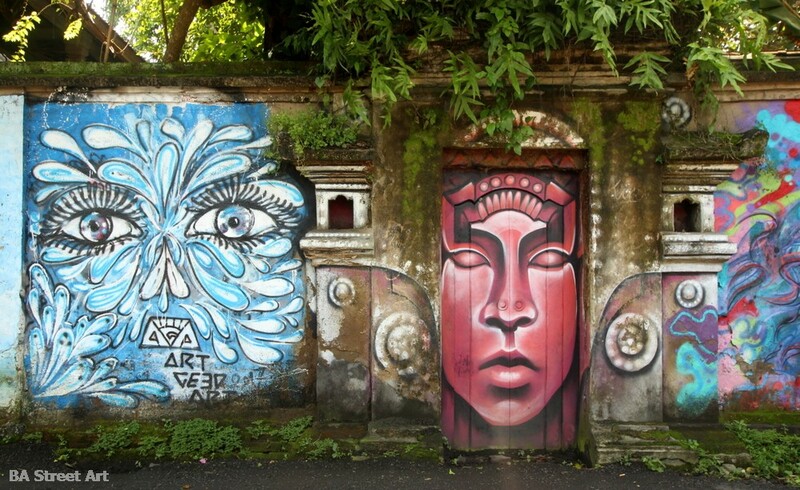 Around Ubud there are also some decent murals. 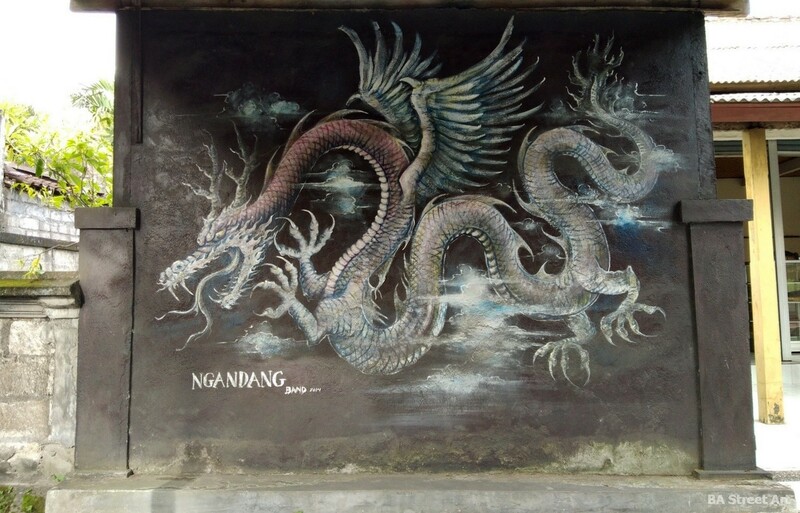 Several featuring monkeys, tigers, dragons and Balinese culture. 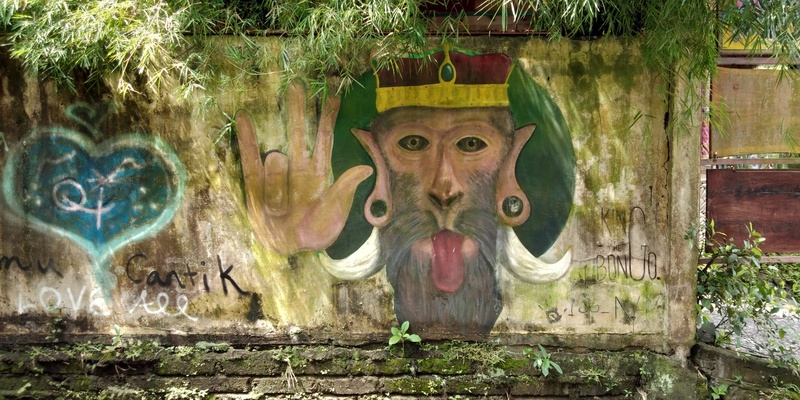 Around the Monkey Forest in Ubud there are also a number of murals featuring monkeys including this one named ‘King of the Bongos’ by one of the entrances. 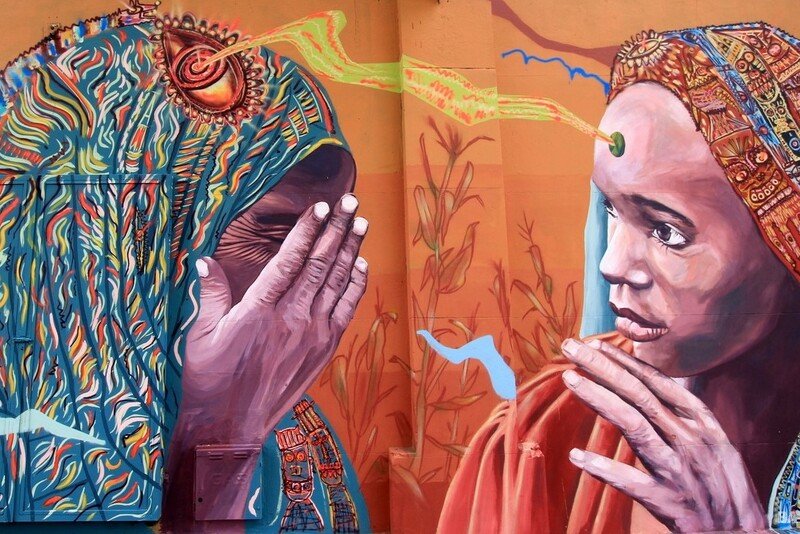 Story and all photos © Buenos Aires Street Art.